Thanks to Barbara Hollingsworth at CNS News, the disinfectant of sunlight is being shined on Jesse Jackson, Jr.'s latest scam involving the ridiculous notion that felons are ‘entitled’ to Presidential Pardons. Jackson has enlisted former Pennsylvania DNC super-delegate and fellow con man John P. Karoly to set the stage for him. 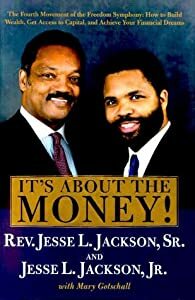 But “I suddenly realized that if Jesse’s dream takes shape, as I earnestly believe it will, there will be no contemporary chronicler to tell the world how his ‘forgiveness mission’ was birthed,” wrote the former Democratic National Committee superdelegate who is serving six and a half years at the minimum security prison after being convicted of mail fraud, money laundering and tax evasion. So Jackson has chosen Karoly, a man whose extensive criminal resume includes cheating a charity out of $500K and trying to capitalize on his brother's death by creating a phony will, as the person to chronicle the birth of his latest scandalous endeavor. Wow! Just when you thought Jackson had sunk as low as he could go after trying to buy a U.S. Senate seat from Rod Blagojevich and then claiming mental illness to escape justice and collect $8,700 a month disability pay while in prison. But now with the help of fellow con man Karoly he is sinking to new depths by starting a " forgiveness movement" for what these two clowns sympathetically refer to as the "criminal underclass". Junior really is a chip off the old block. The Jacksons can find a group to exploit in any situation. Pop Jackson must be busting with pride! 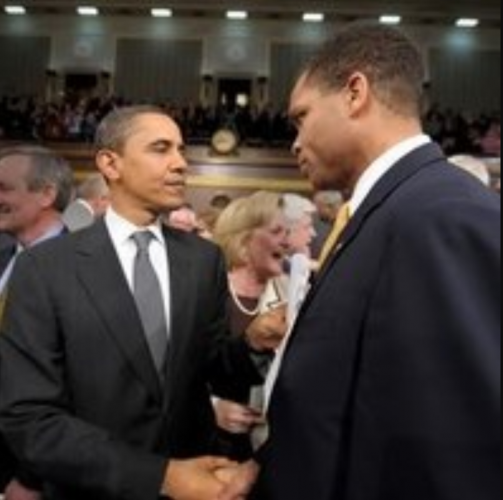 What is even more disturbing about this ridiculous "Jesse Jackson Jr. has a noble cause" story is this: The media hand picked by Jackson to break the story of his latest exploitation - NBC, Chicago Sun Times, and AL.com - were all fully aware of Karoly's history as a DNC insider and his extensive criminal record. Yet they all chose not to include those important facts in their "reporting". Perhaps they heard that Obama likes Junior's new "forgiveness movement" idea, and they just want to be helpful to the cause? Unfortunately for the Chicago Sun Times, NBC and AL.com, that's not journalism. Thankfully, CNSNews.com was around for that.